Finding the perfect holiday toy for a child can be a challenge. And for children with limited mobility or other disabilities, selecting the appropriate toy option can be even more difficult. Volunteers from the nonprofit program Go Baby Go aim to help make the process a little easier for families. 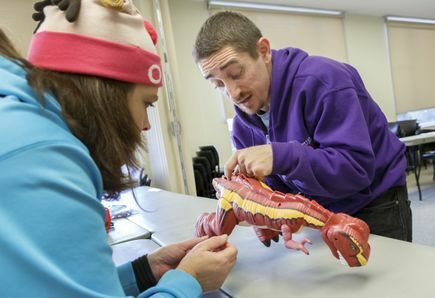 They hosted their annual Adapt-A-Gift event this past weekend. at the Community Vision Assistive Technology Lab in Portland for families and health care practitioners, and, over the course of several hours, modified toys to engage children of all abilities. 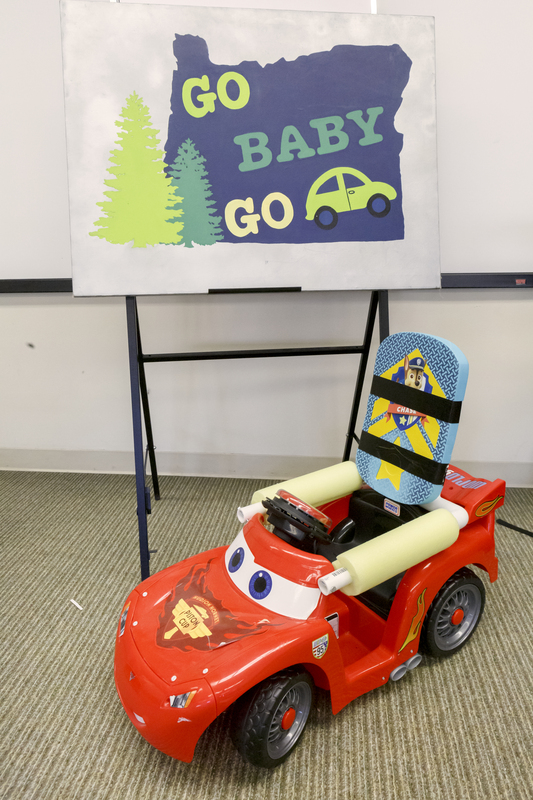 Go Baby Go is a community outreach program that provides pediatric assistive technology to children with disabilities. 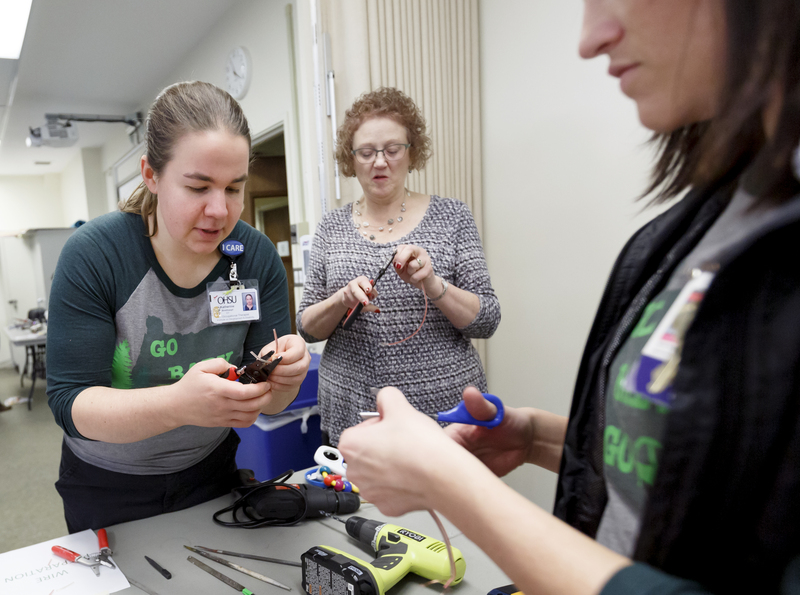 The Oregon chapter opened at Oregon State University in 2014 and expanded as a partnership between OHSU, OSU and Portland community therapists. The program also is supported by the Doernbecher Foundation. 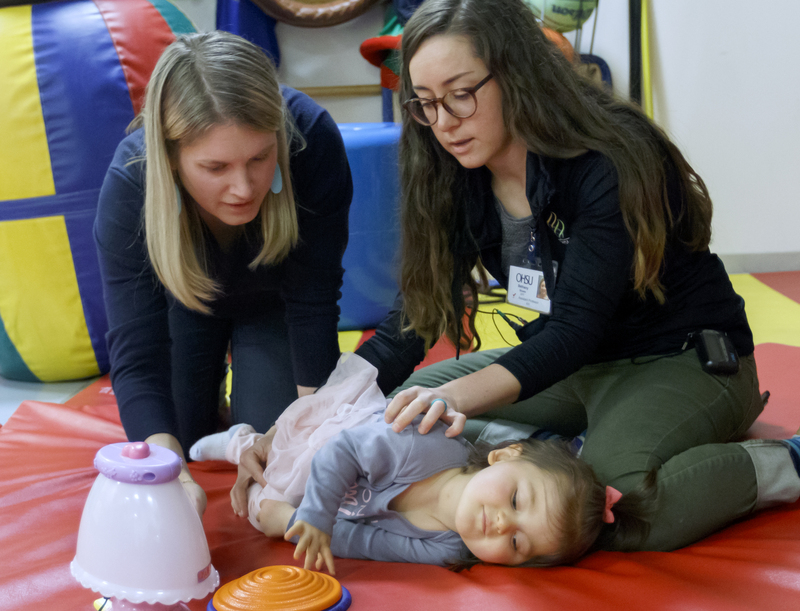 “We started by adapting Fisher-Price Power wheels for children with disabilities,” says Bethany Sloane, P.T., D.P.T., a pediatric physical therapist at the Child Development and Rehabilitation Center (CDRC) at OHSU Doernbecher Children’s Hospital, and co-director of Go Baby Go. 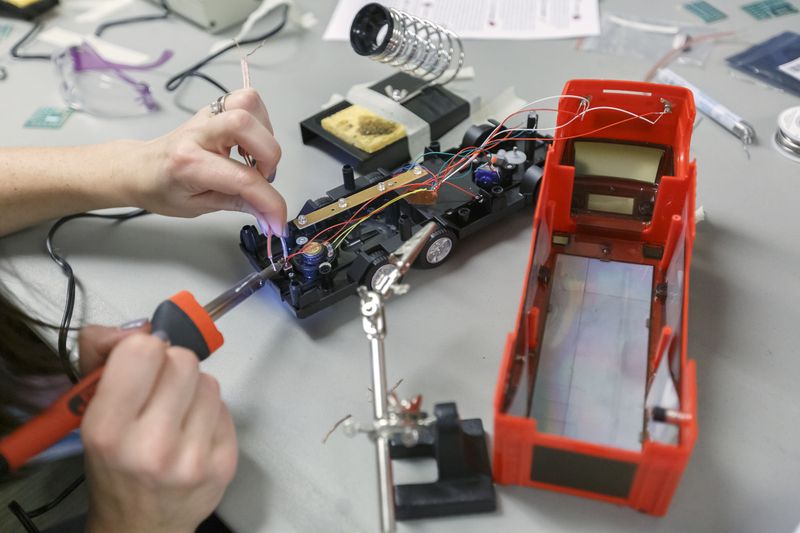 These toy cars are customized with a large adaptive switch — an oversized on-off button — that makes it easy to operate the car. 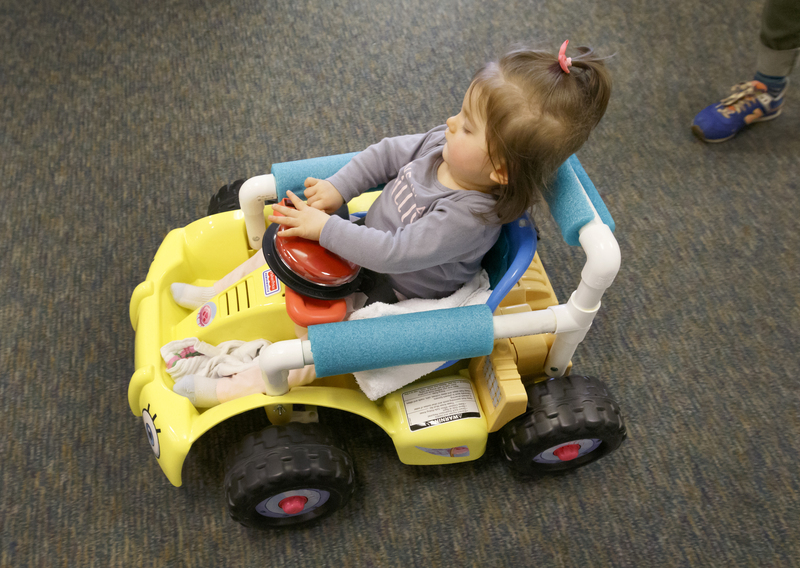 Postural supports also are added based on a child’s individual needs. 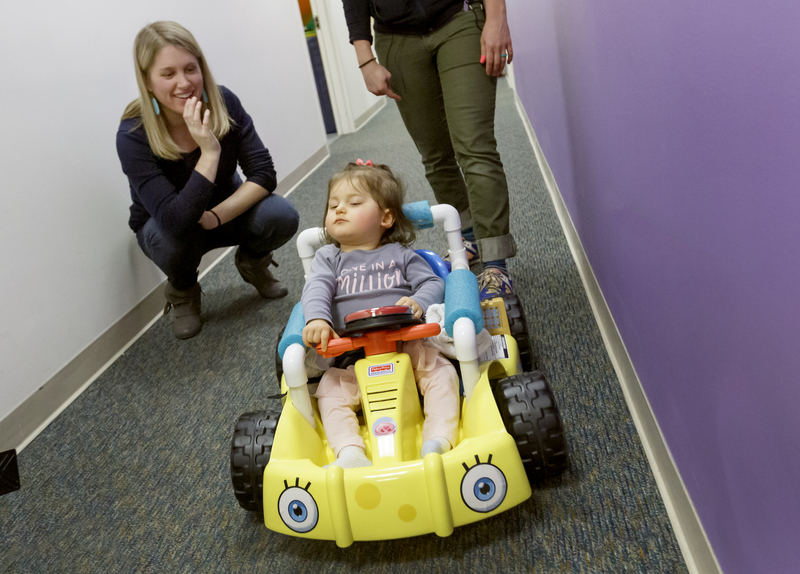 With assistive technology, children are able to hit a switch to make the car move and stop. Operating the car may be one of the only times these children can actively move themselves. Following on the success of the car modification program, therapists and volunteers expanded their focus and began modifying everyday toys using switches. Most toys have small buttons, but with a small modification and adding the large switch, children with mobility issues can operate the toy themselves. 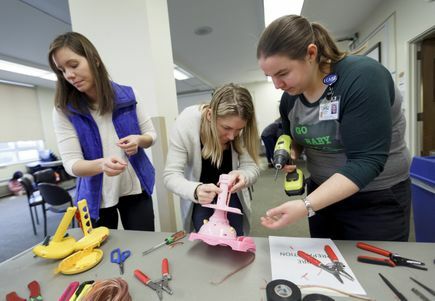 Knowing adapted toys can be cost-prohibitive for some families, volunteers with the Go Baby Go program hold workshops to teach people how to adapt their own toys. All it takes is a few wire changes, a switch and a quick solder. “We want to make these things really accessible,” says Sloane. They hope to help children socialize and facilitate learning. “And play!” she adds. Jenny Eckart Hoyt of Portland was skeptical that her daughter Winnie, 2, would be able to operate the toys. 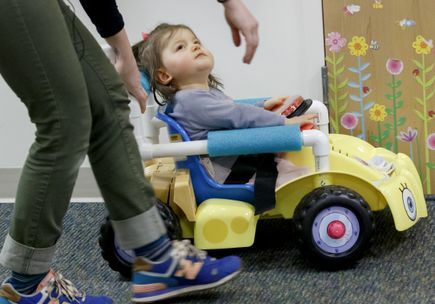 Winnie has epilepsy, auditory neuropathy, cortical vision impairment and cerebral palsy “She can’t do a lot of things with purpose,” said Hoyt. 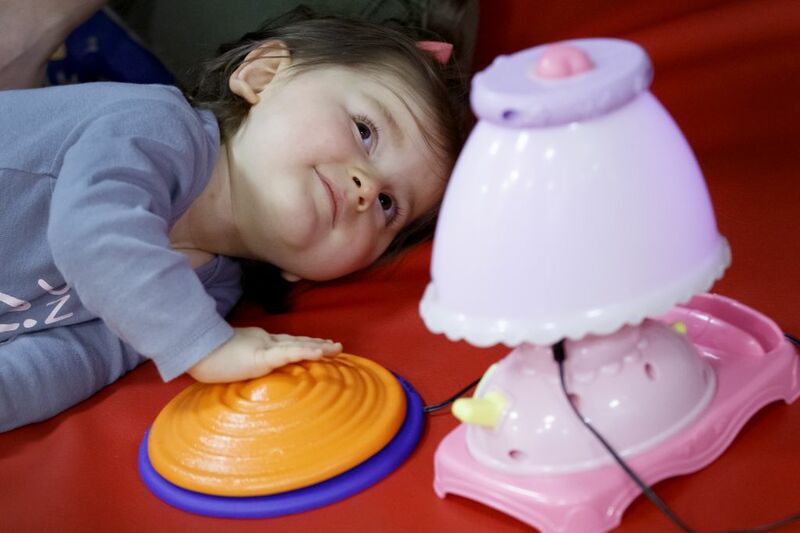 Last year Hoyt brought in Winnie’s favorite toy to the Go Baby Go build -- a small lamp that plays music and lights up. “It was the first toy she was ever attracted to,” says Hoyt. 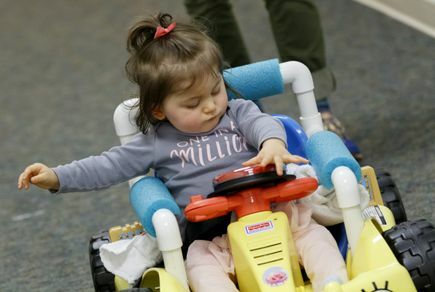 With guidance from the volunteers at the Adapt-A-Gift event, she was able to adapt the toy to meet her child’s abilities. Go here for more information about the Go Baby Go program or to donate toys.